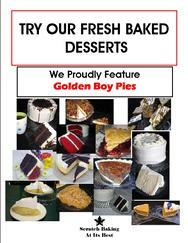 We want to help you increase your dessert business! 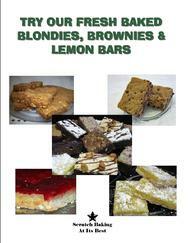 To help you sell more of our delicious desserts, we offer you a variety of signs, table tents, and order forms. We make all of these promotional items available to our regular wholesale customers at NO CHARGE! With sufficient notice, we can even create customized signs just for you! Check out this page to get an idea of some of the ways we help you make your business grow! And be sure to regularly check our our Culinary Creativity page, where we showcase great ideas from our customers! 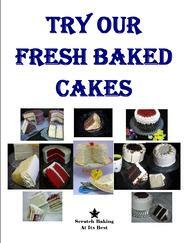 TEMPT YOUR CUSTOMERS WITH REAL PHOTOS OF OUR PRODUCTS! 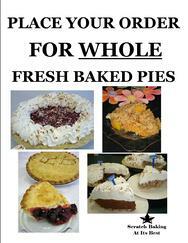 Remind Your Customers You Have Fresh Baked Pies! WE CAN PROVIDE SIGNS TARGETING INDIVIDUAL PRODUCT LINES! 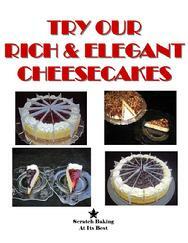 Remind your customers to end their meal with Cheesecake! TAKE ORDERS FROM YOUR RETAIL CUSTOMERS FOR WHOLE PRODUCTS! 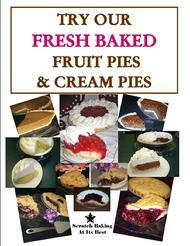 Increase your sales by retailing Whole Pies! 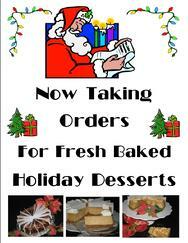 Request a sign specially designed for the season! Alternate your sign to coordinate with the current holiday season! 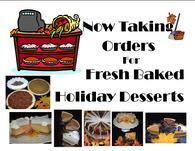 EASILY TAKE ORDERS AHEAD USING THIS SPECIAL ORDER FORM! 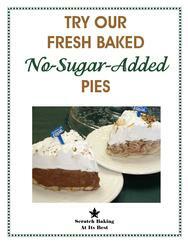 Click on the image at right to download a form you can print and use to take carry-out orders in advance for whole desserts. You can also request that copies of the form be delivered with your regular order. Just let us know how many you need! A listing of available signage below!